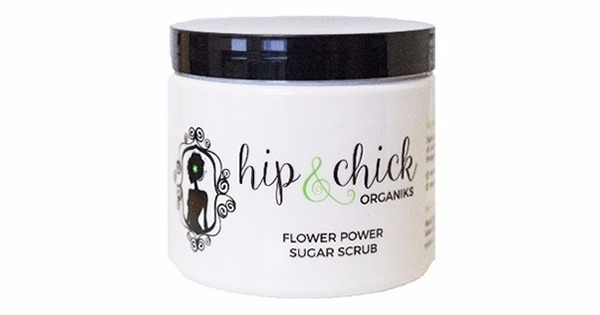 Hip & Chick Flower Power sugar body scrub will disarm and delight your senses with a fusion of gardenia and pomegranate. 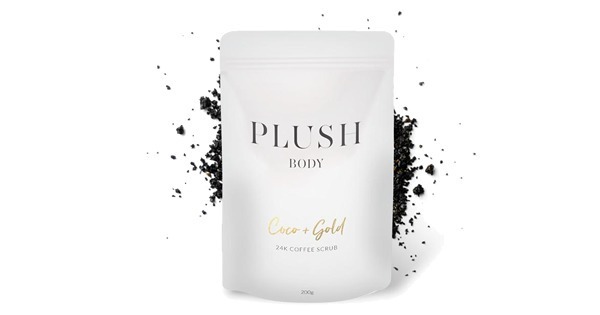 Our exclusive blend of pure granulated sugar, African shea butter and coconut oil will simultaneously exfoliate, revitalize, and hydrate your skin, leaving behind a glow that’s totally righteous. Scoop sugar scrub onto the palm of your hand and massage gently into skin in circular motions. Rinse off any excess sugar with water and pat skin dry. For best results use 2-3 times weekly. 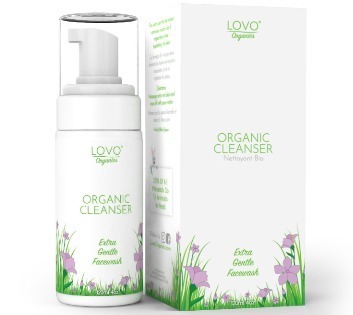 Sugar, Pure African Shea Butter, Certified Organic Coconut Oil, Avocado Oil, Jojoba Oil, Vitamin E, Rosemary Extract, Pomegranate and Gardenia Fragrance Oil.